For the business user who needs to easily create compelling visualizations and dashboards. For the business leader who needs a proven, self-service analytics solution they can trust. 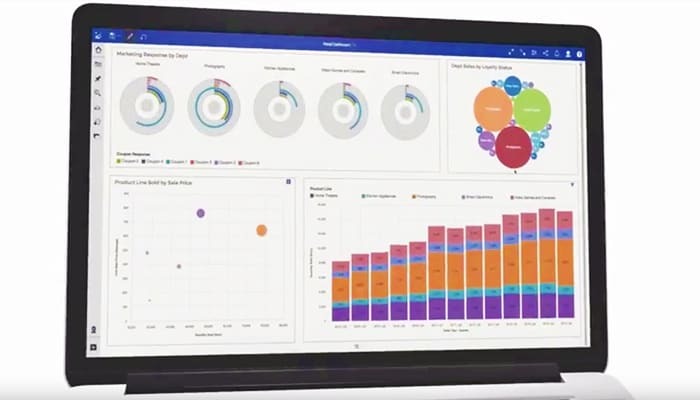 For the enterprise that needs the scalability and analytics governance the business demands — whether on premises or on the cloud — only IBM Cognos® Analytics delivers it all. Find answers others cannot, using AI and machine learning. Unearth information that may not be obvious or expected, using pattern detection. Create and easily share stunning, system-recommended visualizations in diverse formats. Pose questions about your data and receive intelligent responses, with the natural language-powered AI assistant. Reduce the time needed for data preparation through automation and built-in intelligence. Access corporate and uploaded files, such as spreadsheets and comma-separated values (CSV) files. Quickly find the data sources you need, using natural language. Verify and combine data sources, with automated modeling. Get visual data exploration and ​​​​​​professional reporting in a unified environment. Receive smart visualizations — the system recommends the best chart type based on the data selected. Leverage embedded geospatial-mapping capabilities in the dashboarding and reporting function. Get a single interface, cloud-based or on-premises, over desktop, laptops or mobile devices. Schedule reports, burst to thousands of users, or enable users to subscribe to reports. Combine charts into a story with overlays, voice-overs and interactive elements to share. Discover how NYGH monitors key metrics that influence care processes and funding reimbursement. Learn how Genpact has cut IT operational costs by 35 percent with the help of IBM Cognos Analytics on Cloud™. See how QuadReal Property Group uses IBM Analytics to uncover deeper insights and support smarter operations. 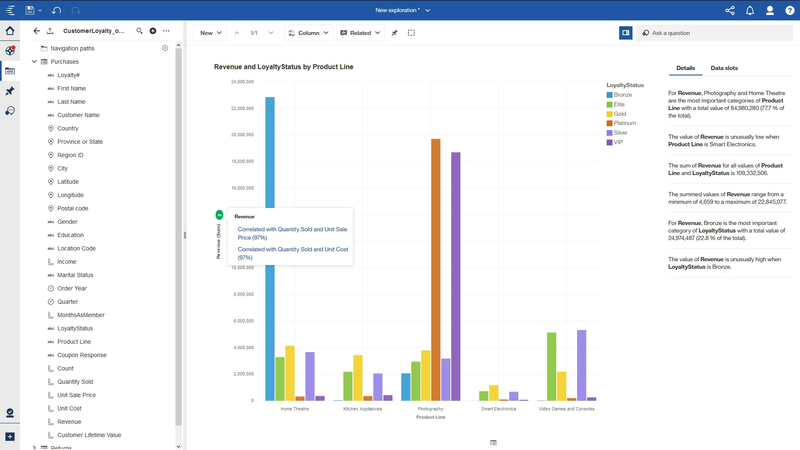 Learn how you can grow your business with Cognos Analytics by taking advantage of low-rate financing and deferred payment options. 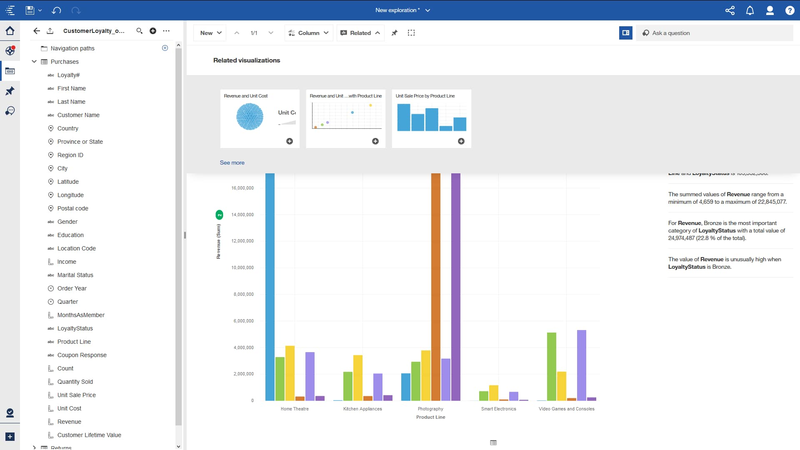 A total value of ownership (TVO) report details the cost savings you can achieve with Cognos Analytics — on premises and on the cloud. 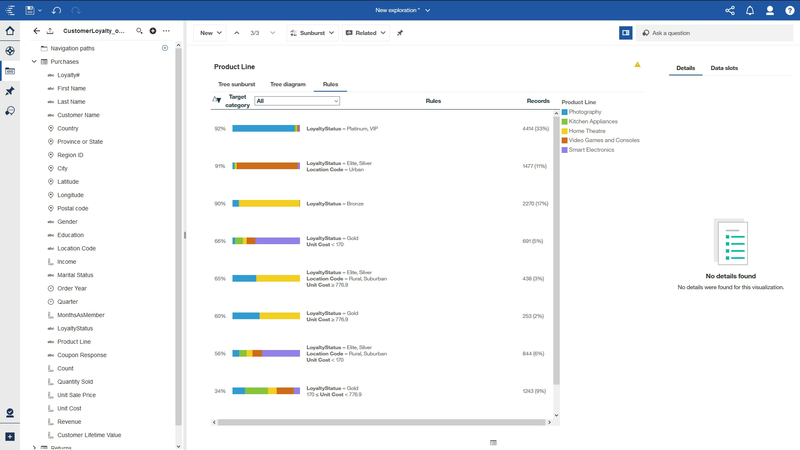 Get the latest from Cognos Analytics. Sign up for the monthly newsletter. 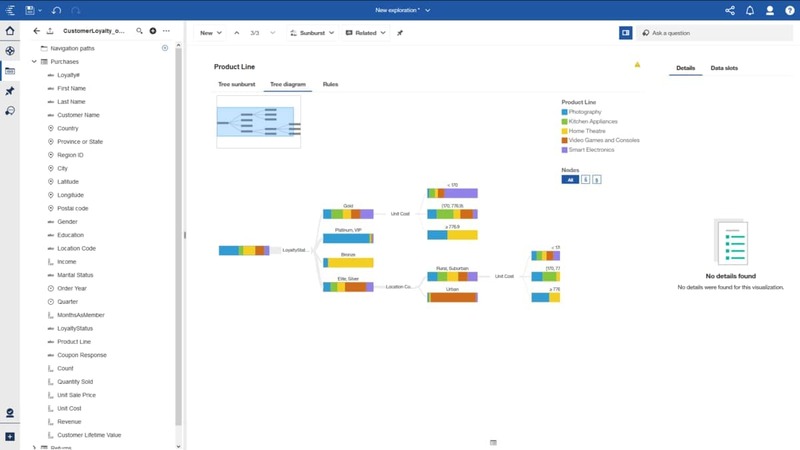 Find technical documentation and support for versions of Cognos Analytics. Join the conversation, get answers and share expertise with your peers and IBM experts. Contact us for all your support needs.